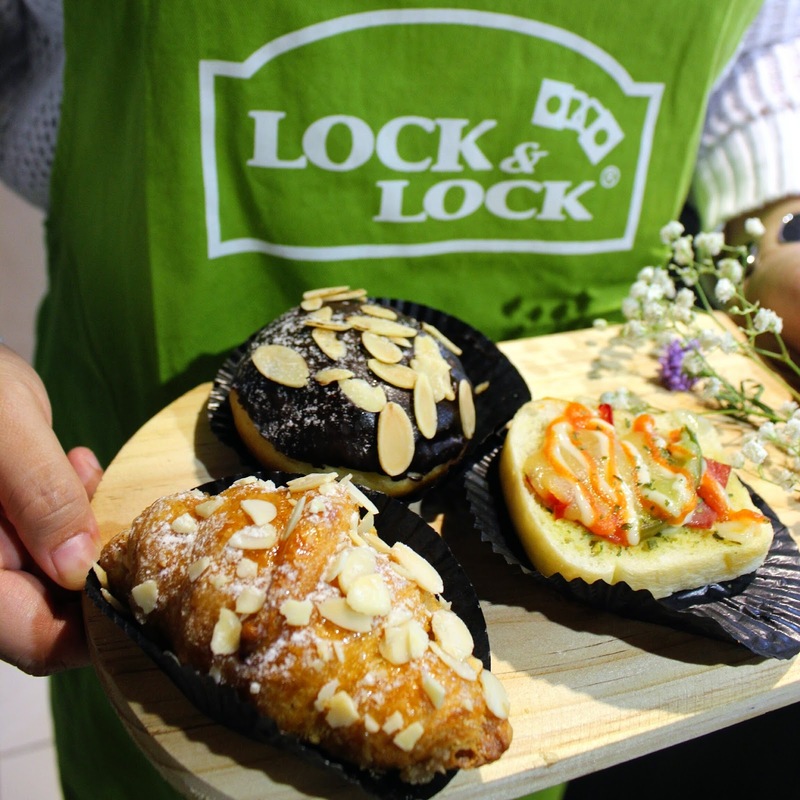 Delico Jakarta : Meals to Go with Lock N Lock Indonesia! Delico is located in the heart of Mega Kuningan’s office complex – and to my surprise, near my old internship office – so it’s really easy to be found, plus a nice hang out / stress relieving place for employees nearby. The logo / symbol of Delico is super cute, it kinda reminds me of Harry Potter when he’s riding the broomstick. If you look closer, it’s actually a chef who’s riding his roller! A catchy logo, indeed. 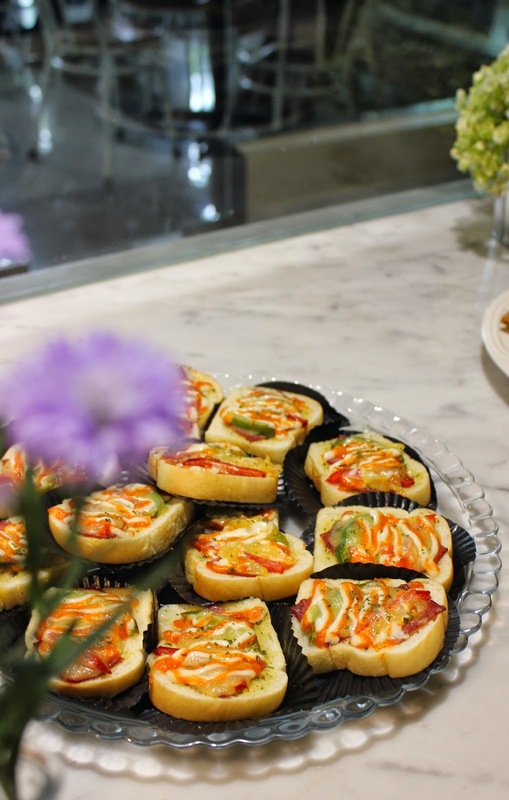 As we’re waiting for the event to start and the others to arrive, we can take our appetizer near the bakery shop area. 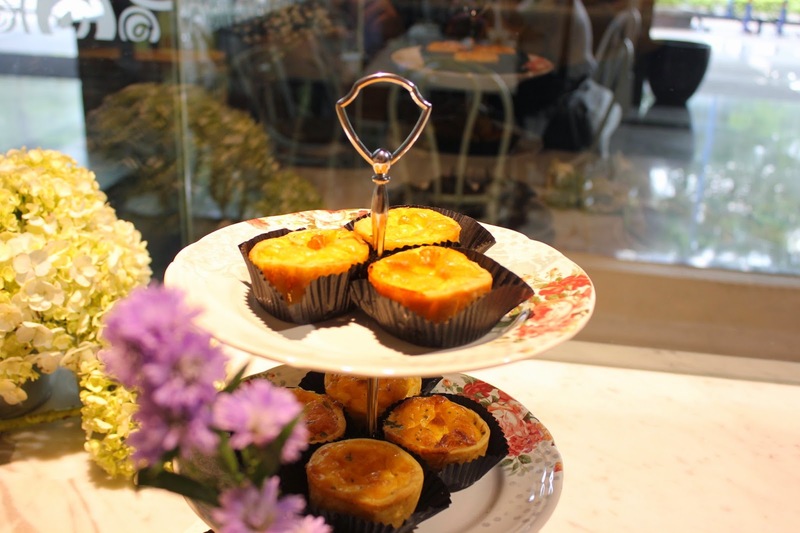 Delico has prepared a lovely decoration that match with the whole appetizer, and the theme is like a high tea party, because they have some flowers, vase, a cake stack, and also wooden palate.It’s so cute and I could watch it all day. As the wise man said, don’t judge a book by its cover. Even though the glazing is full of chocolate, the filling is vanilla crème. It taste super smooth, and the combination between the chocolate glaze, almond, and the crème is really nice! As a dessert and croissant lovers, I’m so happy to have this! It looks like a mini macaroni. If you take a bite, you’ll feel like the cheese explodes in your mouth. Ah yum, so tasty! The cheese itself is cut in the form of small square, and the taste is truly rich. 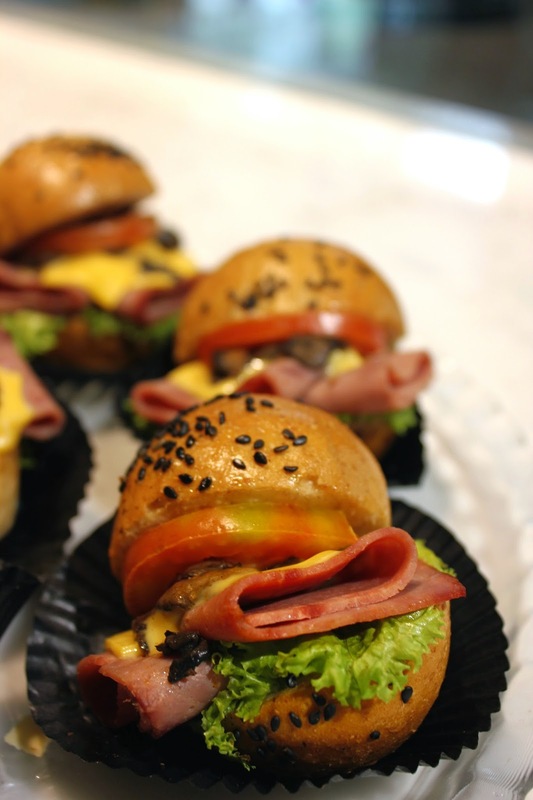 Who doesn’t love burger, especially when it’s served with smoked beef? This is what I called mini but maxi! It’s a complete package because it has cheese, vegetable, meat, and carbo in one bite. Only in one shot, you can put it all in your mouth! Feel the sensation of the sauce, the beef, and also the vegetables. The bread texture is super soft! After enjoying the appetizer, taking pictures around, socializing and getting to know other new people, Ci Odi from Abra Resto start to open this Brunch Session. The representative from Delico takes over and we move into the next area just beside the private room, to start the Sandwhich Making / Competition. Surprise surprise, if you look into the next area, Lock N Lock Indonesia team has prepared all the ingredients inside Lock N Lock box on each tables provided, plus a cute green and whitebone apron (I wish I could bring it home for my mom!!) Feeling like a picnic party is going to start here! One of the Delico’s chef explain a bit about the difference between sandwhich, and open sandwhich. Open sandwhich is actually a sandwhich, but without any bun or bread on the top. The one that we’re going to make today is the open sandwhich. Then, he continues to demonstrate on how to make your own open sandwhich. He’s super fast, and his open sandwhich looks really good! Finish with the demonstration, each of us is assigned into a table. We’re given only 15 minutes to pack our own open sandwhich inside Lock N Lock lunch box. PROUDLY, I present to you my open sandwhich!! Yes it’s my sandwhich!! Don’t judge the look, okay? It’s super tasty believe me!! Okay… I know that the look is not really appealing, well, sorry to my – not so – artistic hands. Hahahaha! But believe me, because of the best ingredients used & prepared by Delico restaurant, the taste of this open sandwhich kenyang is really awesome! It’s a perfect meal to go for busy people! It’s healthy, it’s yummy and guaranteed you’ll “kenyang!” Yes, that’s the main idea of my dish name, hahahaha. Not so long until we head back into our personal meet up room, the main course is served by Delico’s team. There are two choices of the main course, spaghetti and fried rice. I ordered a spaghetti tuna since I always prefer noodle over rice, haha! It taste good, al dente, and I love the sense of chilli spark all over my mouth. Yummy! However, I think they can show off the tuna more, for example cut it in a bigger size. It has a lot of Tuna inside, but because of the colour and the cut size, its buried inside the spaghetti. 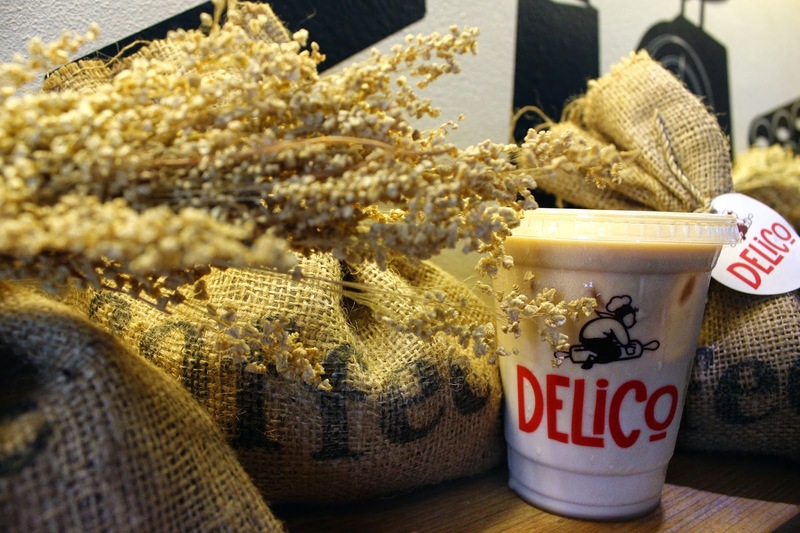 For the goodbyes, Delico Café gives all of us a cup of coffee to go. I pick iced cappuccino over latte, since it has a stronger taste *for my taste* It indeed has a great taste, and perfect for the hot weather. THE GOODIE BAG, THANKS LOCK N LOCK INDONESIA!! Trying to shoot a “Flat Lay” using the goodie bag from Lock N Lock. What do you think? As I’ve told you before, our open sandwhich is packed inside Lock N Lock Lunch Box, and we’re allowed to bring it home so we can enjoy the sandwhich, plus keep the Lunch Box!! Wah, I’m super happy about it! I live inside a boarding house for a while, (a.k.a #anakkos) and I really need a lunch box to pack my lunch menu or even store my biscuits and other foods, this lunch box is super useful! Guess what? Even though you bring soups, it won’t spill if you put it inside Lock N Lock Lunch Box. The clips also design to sustain until 3 millions click! Yes, 3 millions! Before we really close this Brunch Session, we all gathered in front of Delico and take pictures plus video together. Overall, I really recommend Delico, especially for businessmen/woman, and employee work in office. I wish that I have Delico near my office here so that I can grab their healthy delicious Sandwhich together with cappuccino everytime! Thanks Abra Resto, Delico, and Lock N Lock Indonesia for the wonderful brunch. As always, I enjoy my time very much and I hope to see you guys again! Le Meridien : La Brasserie Sunday Brunch, Dessertnya Banyak!